Maine offers two types of probate filings: informal and formal. You may file for informal probate if there is nothing in dispute such as the will's validity; informal probate doesn't involve a judge or hearings before the probate court. Formal probate is reserved for disputed cases and involves a judge and hearings. In most cases, informal probate will suffice. If for some reason, formal probate becomes necessary, it can commence after informal probate. Locate the appropriate Probate Court. In Maine, a will must be admitted to the Probate Court in the county where the testator, or will maker, last lived. Obtain the death certificate. You may obtain the death certificate from the Office of Vital Records or from the town in which the testator died. The Office of Vital Records provides certified copies. Obtain an application for informal probate from the Probate Court. The form is both an application for informal probate and an application for appointment as personal representative. If you were named as personal representative in the will, and you accept, you may indicate that you wish to be appointed as personal representative on the application. Gather information pertaining to the beneficiaries named in the will. The application for informal probate asks for the names and addresses of beneficiaries such as the surviving spouse, children and other heirs. File the application for informal probate with the Register of the Probate Court, along with the original will and death certificate. The Register will notify any beneficiaries or heirs you've listed on the application once it is filed. Pay the filing fees. Filing fees vary; speak to the Register of the Probate Court to determine the correct amount. Executors are fiduciaries, meaning they have a responsibility to take care of assets and distribute property according to a will maker's wishes. If a deceased person did not leave a will, the person appointed to fulfill the executor's role is called a personal representative. In Pennsylvania, executors administer estates through the Register of Wills in the county where the decedent lived. In your will, you can nominate an executor, or representative, to manage your estate between your death and the distribution to your heirs. While it is important for you to make a smart decision about whom you nominate, his appointment will not last forever. At some point, his job is finished and he will be discharged from his position. Your executor must operate within your state’s laws, and state laws vary regarding when and how an executor is released from these duties. 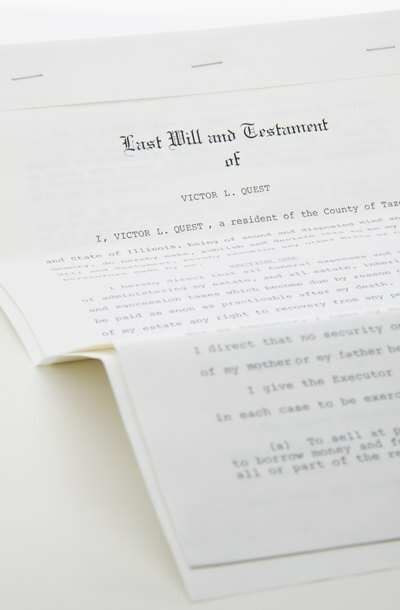 When Does Last Will & Testament Have to Be Filed in Probate? Are Massachusetts Wills Public Record?